How do you take an idea and then print it? Let’s discuss what is needed in order to 3D print an object. First in 3D Printing is to create a blueprint slash three-dimensional digital file of the object we want to print. The most common way of creating a digital model is with Computer Aided Design – CAD. However, there is a large range of professional and entry level softwares that can produce a file suitable for 3D Printing. DESIGN. You can use 3D modeling software like Blender, SketchUp, AutoCad, SolidWorks, Maya, PhotoShop, ThinkerCad or others to create your own designs. Almost any 3D modeling software can be used to create a 3D printable file. SCAN. 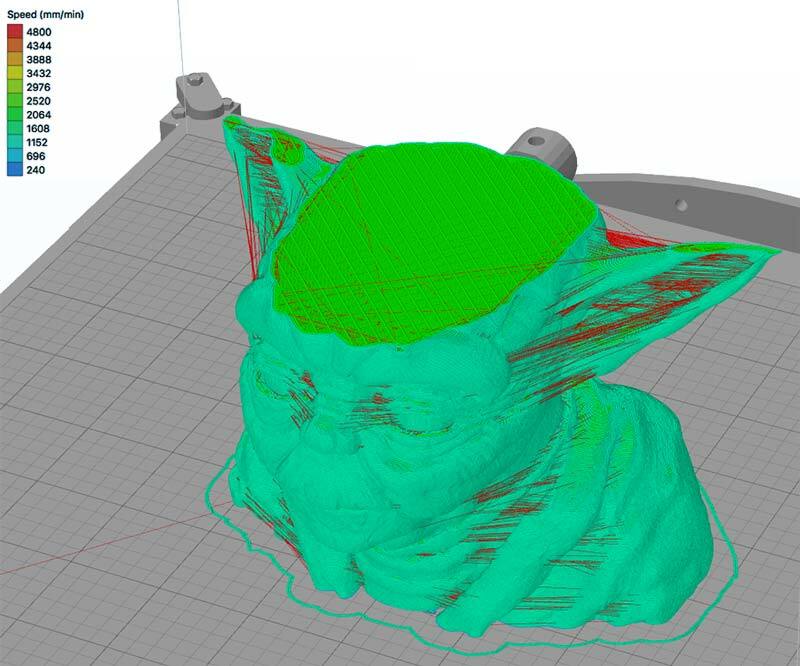 Another way to create a three-dimensional digital file is through 3D scanning. 3D scanning is a technology, closely related to 3D printing, that analyzes a real-world object and instantly creates a digital replica. 3D Scanning is widely used for reverse engineering tasks from industry professionals. Once an existing object is digitized, we also have the option to modify it before printing. A 3D scanner is needed for this process. DOWNLOAD. If you have minimal patience and just want to go ahead and print something, you can visit websites like Thingivers, YouMagine, CrabCad, and MyMinifactory Shapeways to download or buy files that other users have modeled. These files are 3d Print ready in most cases! Lastly, there are several design requirements the 3D files have to meet before sending them to the printer. When designing for Additive Manufacturing (3D Printing), we need to keep in mind that we are design for the real world. Those are things like proper scale-size, minimum wall thickness, manifold/watertight just to name few, which we are going to take a deeper look a bit latter. Once you have a finished the CAD design, it is time to send it to the printer. First, we need to convert it into an appropriate file format. The most common 3D Printing file format is called STL, that stands for STereoLithography, and named after the first ever 3D printing process. STL has several other meanings such as “Standard Triangle Language” and “Standard Tessellation Language”. What is important to remember here is that .STL is the usable file extension. An important note here is not every STL or OBJ file is 3D printable by default. The file formats have to meet certain criteria like a maximum polygon count, water-tightness, proper physical size, minimum wall thickness etc. (Read More Here.) In short they have to be designed with 3D printing in mind! This is the process of translating the 3D File into instructions for the 3D printer to follow. Yep, that’s the fun part and you need a special software to do only that! Basically, Slicing is dividing or chopping the 3D model into hundreds or thousands of horizontal layers, telling the machine exactly what to do, step by step. After the files are Sliced, a new file format is generated called G-code, with the file extension .gcode. G-code is the most widely used numerical code programming language, mainly used in computer-aided manufacturing to control automated machine tools like 3D Printers and CNCs (Computer Numerical Controls). In a nutshell G-code is the language of the machine and what we use to communicate with it! 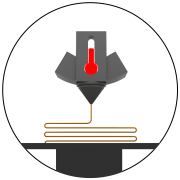 If you are using a 3D Printing Services Provider, you don’t have to worry about Slicing. Why? Because the provider will do it for you. All you need to do is upload the correct file format and wait for the 3D printing process to complete. Here is a visualization of the G-code used in a desktop plastic extrusion printer. This printer creates an object by extruding hot plastic filament through a nozzle). The lines you see represent the path a 3D printer will follow, laying down layers of plastic to create the design! The printing machines are made of many moving and intricate parts, and they demand correct maintenance and calibration to produce successful prints. Most 3D Printers do not need to be monitored after the printing has begun. The machine will follow the automated G-code instructions, so as long as there is no software error or the machine doesn’t run out of raw material, there should not be a issues during the printing process. Removing the finished parts from the printer will vary for different 3D printing technologies. In some case, like for Desktop machines, it is as simple as separating the print from the build platform. For some industrial 3D printers, the removal of a part is a technical process that requires professional skills and specialized equipment within a controlled environment. Again, post-processing of 3D printed parts will vary with 3D printing technologies and the materials the parts were printed with. Some 3D printing technologies let us handle the finished parts right away, while other technologies require additional steps to finish the fabrication process. Post-processing is an important step for the aesthetic and function of the parts. In the majority of cases 3D printed parts are rough and do not have finished feel but can be vastly improved with the right techniques and craftsmanship. Through sanding, painting, polishing, and other post-processing methods, printed parts can accurately become a real-world model of the initial concept. Where not aesthetics are involved, but the mechanical properties are the main goal various industrial process may take place. Post-processing can be critical and time consuming operation, but as the technology evolves, the automation of those steps follows. Wonderful points you have mentioned here. I am satisfied that you simply shared this helpful information with us. Please stay us informed like this. Thank you for sharing. Spot on with this write-up, I truly assume this web site needs rather more consideration. I’ll most likely be again to learn much more, thanks for that info.